Newport Jets is your premiere Teterboro, New Jersey charter jet company, providing private jet charter flights in and out of Teterboro. The company’s private jet travel team is available now to arrange your local Teterboro jet charter service. Our experienced and professional concierge team will not only handle your jet charter flight, but will plan your ground transportation, and recommend first class Teterboro hotel accommodations. Newport Jets has a wide variety of Teterboro private jets to choose from, including the excellent Gulfstream G550 to the Learjet 31, the company has the perfect private jet aircraft for each and every trip. To make your stay in Teterboro comfortable and luxurious we’ve provided some local information on hotels, private jet airports and popular attractions. We are also pleased to tell you our charter jet team specializes in booking jet charter flights to and from Teterboro, Van Nuys, Palm Beach, Las Vegas, and Miami – as well as hundreds of other domestic and international destinations. Teterboro, New Jersey is situated three miles from Passaic, New Jersey and nine miles northwest of New York City, is a borough in Bergen County. The borough is named for Walter Teter who owned the land. Teter was a developer and investment banker, and originally purchased the land to build a racetrack. 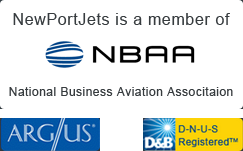 The borough is known for Teterboro Airport, which is operated and owned by the Port Authority of New York and New Jersey, which exists to serve the interests of aviation in the area of New York and New Jersey. One noted attraction in Teterboro is the Aviation Hall of Fame of New Jersey, where visitors can see historic space and air equipment and photographs, artifacts, fine art, and model collection.